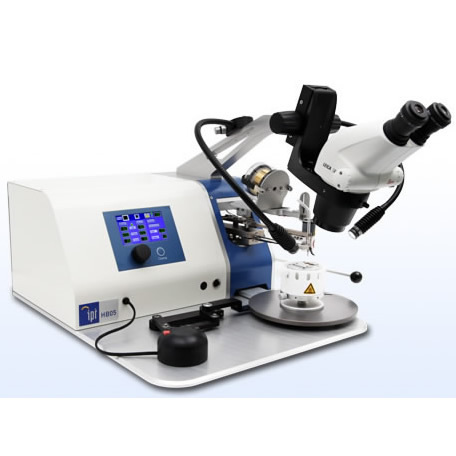 The HB05 is a Bench Top Size Wire Bonder, ideal for laboratories and pilot production lines. One Bond Head for bonding in Ball/Wedge or Wedge/Wedge bonding mode. Only tool change necessary. Easy operation with TFT Display, direct access and simple adjustment of all bond parameters. Bond time 0 - 1 sec. Electrical Requirements 100 - 240V +/-10% 50/60 Hz 10A max.